I made comics about IP Laws "IP Life Art 7". I made comics about IP Laws "IP Life Art 7". 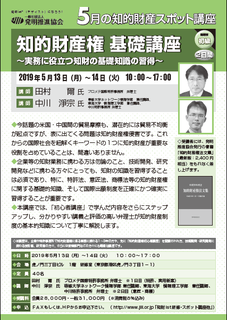 You can download from "http://www.ipagent.jp/magazine/chi-art7-en.pdf". The story from Art 7 is about an invention protected by Japanese patent law. New characters appear on these comics from Art 7. 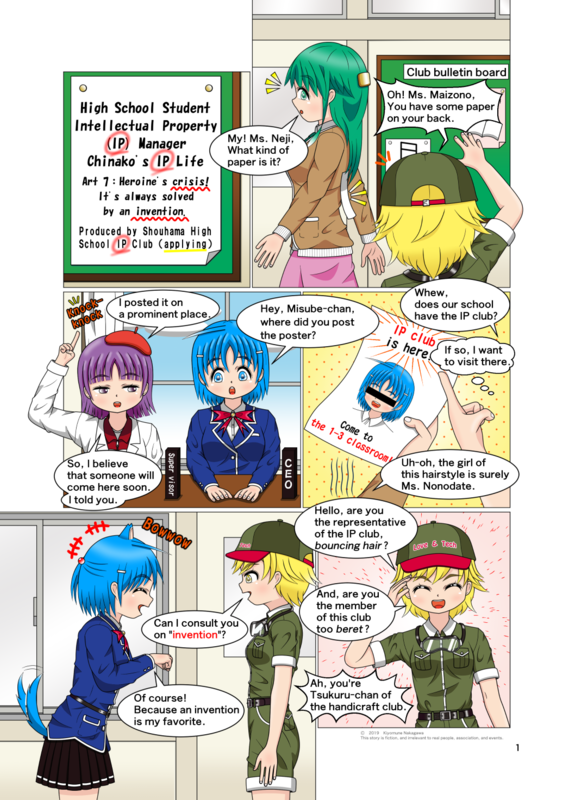 I made comics about IP laws " IP Life Art 7 "（http://www.ipagent.jp/magazine/chi-art7-jp.pdf）. 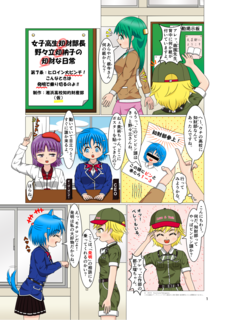 These comics are in Japanese version. 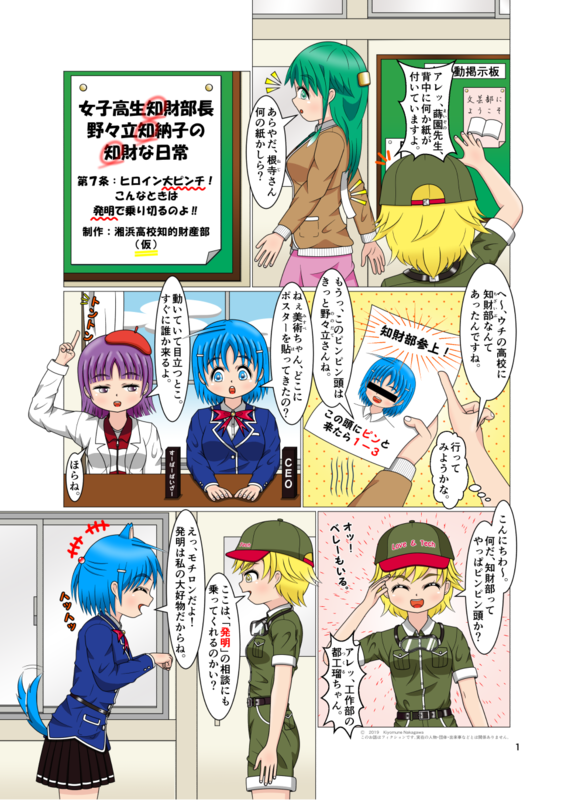 The English version will be published in the near future. 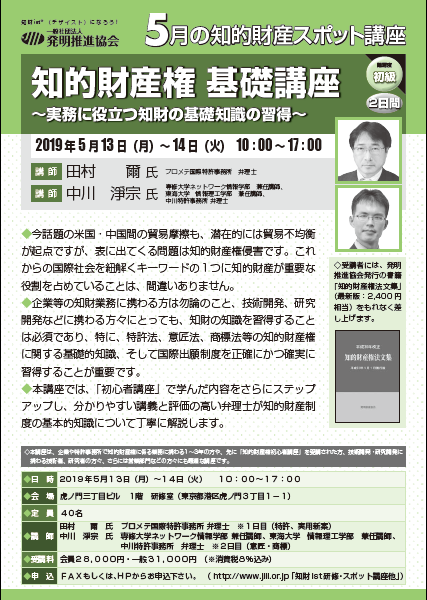 I'll give a lecture at the seminar on Japanese Intellectual Property Laws (Basic course) in May. 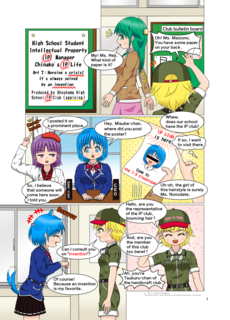 (04/14)I made comics about IP Laws "IP Life Art 7".